Today’s show: “Rooms” was on view at PS1 Contemporary Art Center in New York from June 9 to June 26, 1976. The show, curated by PS1 founder Alanna Heiss, was the institution’s inaugural exhibition and included work by such artists as Gordon Matta-Clark, Patrick Ireland, Marcia Hafif, and Richard Nonas. 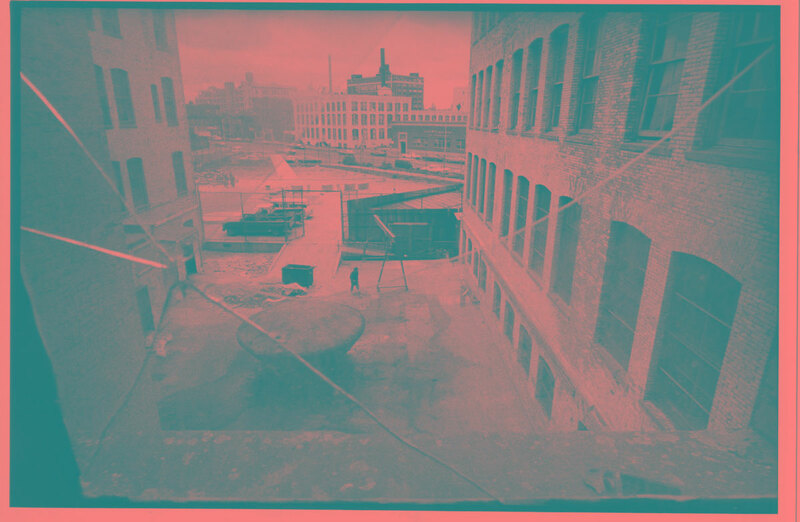 View from the roof of PS1 Contemporary Art Center in 1976. Installation view of “Rooms,” 1976, the inaugural exhibition of PS1 Contemporary Art Center, showing work by Alan Daniel Saret. Installation view of “Rooms,” 1976, the inaugural exhibition of PS1 Contemporary Art Center, showing work by Gordon Matta-Clark. Installation view of “Rooms,” 1976, the inaugural exhibition of PS1 Contemporary Art Center, showing work by Judy Rifka. Installation view of “Rooms,” 1976, the inaugural exhibition of PS1 Contemporary Art Center, showing work by Marcia Hafif. Installation view of “Rooms,” 1976, the inaugural exhibition of PS1 Contemporary Art Center, showing work by Patrick Ireland. Installation view of “Rooms,” 1976, the inaugural exhibition of PS1 Contemporary Art Center, showing work by Richard Nonas. Installation view of “Rooms,” 1976, the inaugural exhibition of PS1 Contemporary Art Center, showing work by Tina Girouard.